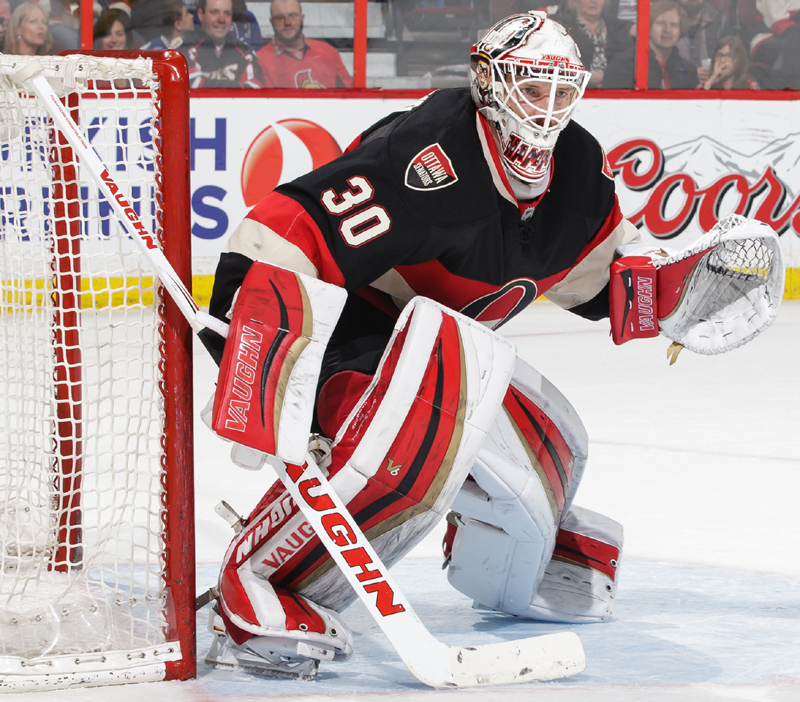 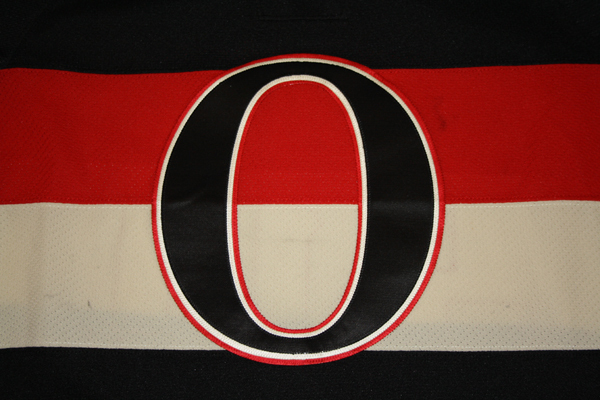 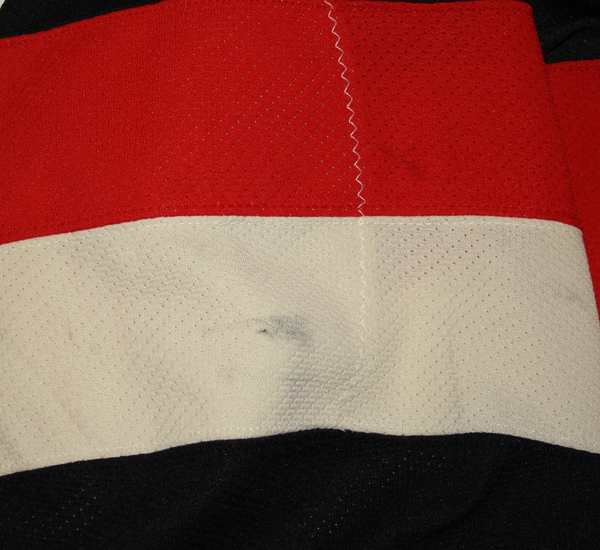 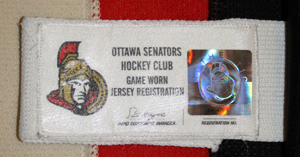 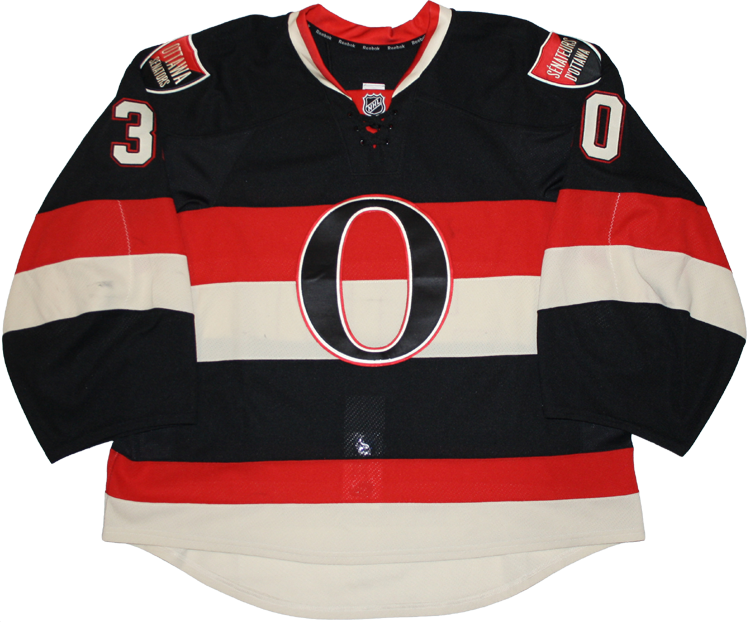 This jersey was worn by Andrew Hammond of the Ottawa Senators during the 2014-15 season. 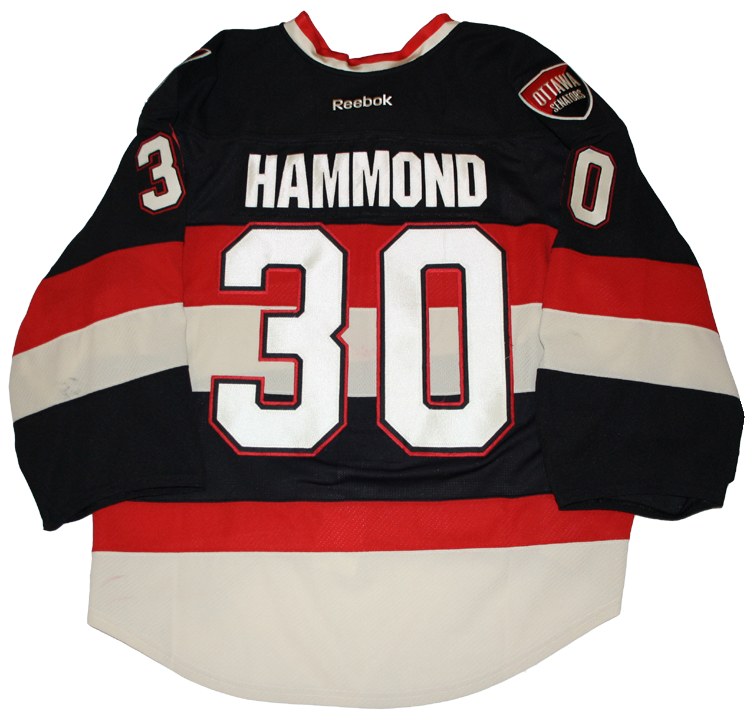 Hammond won 2 of the 3 games that this jersey was worn in March and April, 2015. 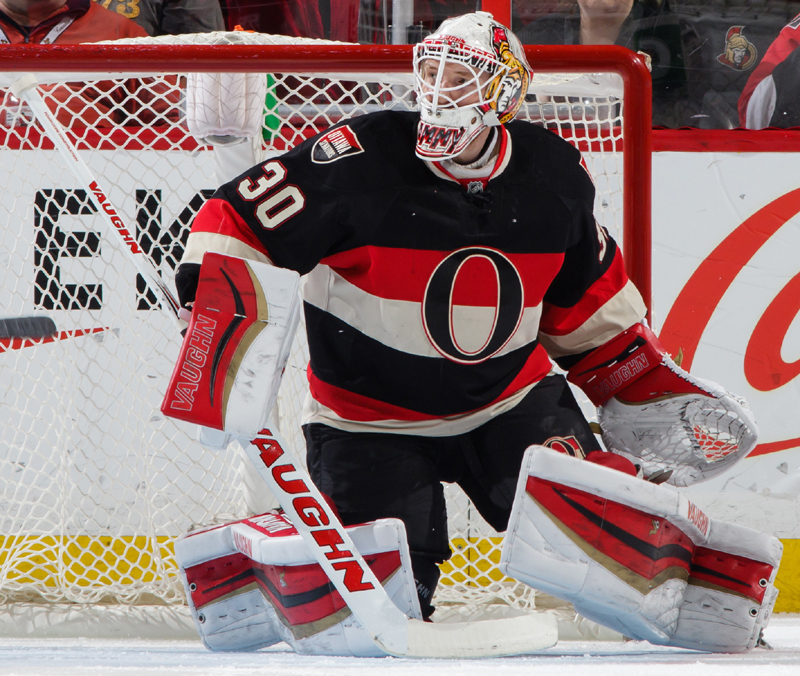 The Hamburglar's incredible run of victories lead the Senators to an improbable playoff appearance in 2015.